Improving baseball performance and your overall body composition is a multifaceted goal that requires a multifaceted approach. 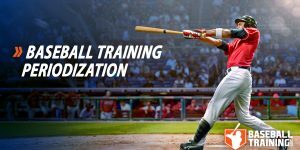 As you can see from the extensive library of free information we have available here at BaseballTraining.com – we respect how deep the science goes into these categories of optimization for baseball training, baseball nutrition, and what recovery strategies players should be using so they can perform their best come game day. I have gone into thorough detail about the four pillars of movement quality all baseball players need to train in order to dominate out on the field. If you haven’t already checked out that series (and abundance of free workouts that I included) – I would highly suggest blocking some time out in your calendar and reading them soon. 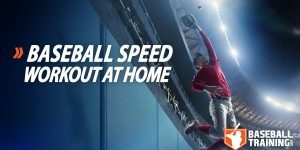 It might be the most impactful series you will ever read on baseball training strategies and tactics. 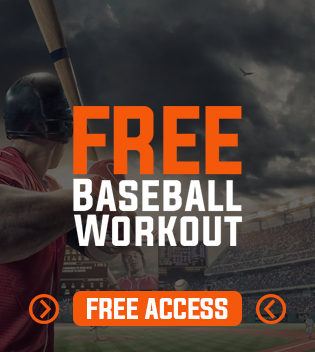 Today is a type of “add-on” to the above categories, but it is so integral with them all that it deserves its own blog entry altogether – I want to outline today why every baseball player on the planet needs to start incorporating cross-body exercises into their current strength and conditioning routine. The anatomical characteristics of the human body dictate that it commonly functions in a “criss-cross” type manner. More specifically, the arm-and-shoulder mechanism on one side links diagonally through the torso to the hip-and-leg mechanism on the opposite side. For example, think about the motions used in walking, running, throwing, and swinging a bat. Such cross-body actions are foundational to human movement and thus are also a major part of athletic development. 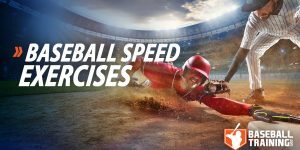 For this reason, a variety of cross-body exercises are incorporated into the programs you will find here at Baseball Training because they should always be referred to as specific exercises for baseball performance. Cross-body movements incorporate unique muscular relationships that create a diagonal pre-stretch of four pairs of muscles (your rhomboids, serratus anterior, external obliques, and internal obliques) that occur when rotation of the shoulders and hips are going in opposite directions. It is the pre-stretch of these four pairs of muscles that creates the “snap back” effect (think snapping an elastic) which increases the potential for force production and movement efficiency in rotational actions such as throwing or batting. Similarly, the lats interact with the glutes and hamstrings on the opposite side through your erector spinae during more locomotive movements such as running or walking. If this is a little too anatomical for you, just think about the body working like an “X” in both the front side and the back side during athletic motions during a baseball game. The benefits of cross-body training are highly unique within the programs here at Baseball Training as they incorporate a high degree of consistency between the patterns of force generation and neuromuscular coordination that commonly occur when baseball athletes utilize these X-frame linkages. Meaning, the exercise selection is such that the movements use single-arm loading which create rotation or force you to resist rotation from various stances. Although traditional compound exercises (e.g. squats and deadlifts) can help you strengthen the entire body, they are not ideally suited for improving coordination of the baseball-specific X-factor linkages. X-factor may sound gimmicky to you, but this has already been highlighted in the literature in a very strong way in the past. For example, one study found when comparing the single-arm standing cable press (a cross-body exercise) and the flat barbell bench press that performance in the single-arm standing cable press was not limited by maximal activation in the chest and shoulder muscles, but by the activation and neuromuscular coordination of the torso muscles. Put another way, the limiting factor when create force on one side of the body from a standing position – the exact manner at which baseball athletes are expected to produce force from – was the stiffness of the torso muscles that maintain body position and enable coordination of the hips and shoulders while stabilizing the forces created by the arms and legs. Obviously, standing cross-body motions still require great chest and shoulder strength, however, in such cross-body movements like swinging a bat or throwing, force is still limited primarily by whole-body stability and joint stability. This is complemented dramatically by using cross-body movements in your programming and should be a staple in all baseball athletes sport specific resistance training plans. Long story short, different load placement and body position during exercise changes force generation and coordination demands of the movement. Cross-body exercises utilize a unique X-factor load placement both anteriorly and posteriorly that generate a specific training stimulus that will translate into the planes of movement that you see in the game such as during throwing, running, and swinging.